The new ‘ask a question’ functionality has arrived and here at GlowMetrics, we are very excited about it! The key to using big data is that the entire organisation can use and understand it. This means training staff at every level and evangelising the value of the program. It also encourages accountability as a culture of shared responsibilities is encouraged and all data assets are shared with everyone. Saying this is all well and good but really, many organisations do not have the time or budget to invest into training every member of their team. This means there is a huge reliance on the data scientists. If there are not available to help, team members can become over-whelmed by the programme interface or misinterpret results. Now, Google have rolled out their new ‘ask a question’ functionality. 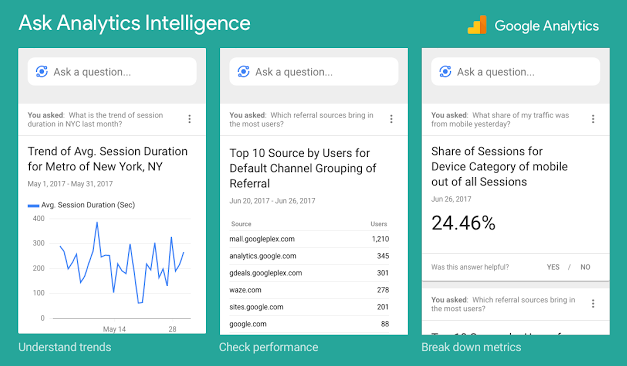 The new ability to ask questions builds on the Google Now-like automated insights that came to the Google Analytics mobile apps last year. The insights surface data the system thinks will be useful to the person who is logged in, meaning they are tailored to the kinds of data and insights that user has engaged with. This form of AI has been years in the making for Google and our expectations are pretty high! For the time being, only ‘what’ and ‘how many’ types of questions can be asked about whatever data is present in your Google Analytics account. This can also include questions about segments such as ‘How many sessions are there in the month broken down by age?’. Google will respond (and very quickly at that) with a chart showing the results. Unfortunately, ‘why’ questions aren’t supported but watch this space! Also, the feature is only currently available in English but Google are working on that too. YES! The feature launched last month and we have already been loving it here at GlowMetrics! 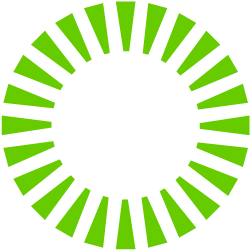 It’s super quick and easy and gives us automated insights almost immediately. It also allows our clients to go onto their Google Analytics and ask automated questions when they want to look at their data themselves. At GlowMetrics, we love using Google Analytics to help our clients move insights into action. The addition of the Ask the Question feature makes the process much more efficient and promotes transparency between ourselves and our clients. If you would like to find out more from us, get in touch!